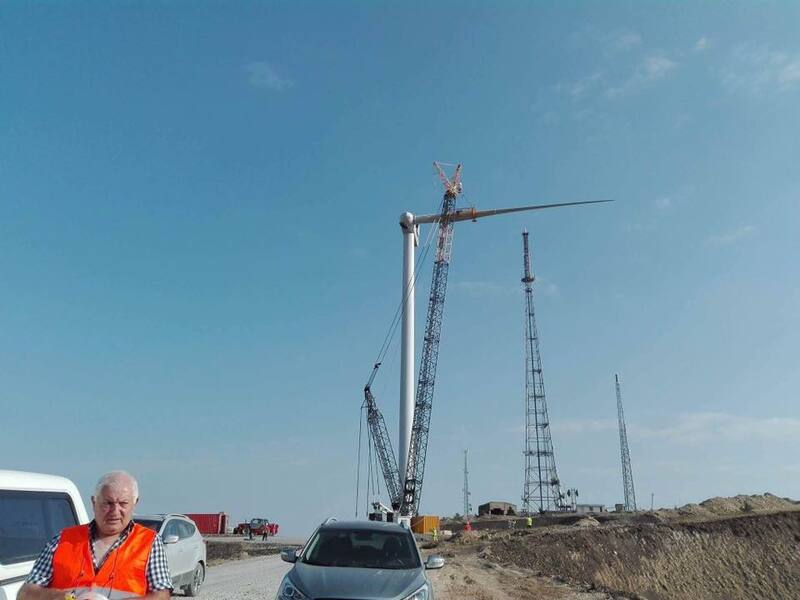 TBILISI, DFWatch–Traffic is currently rerouted from Chakvi-Makhinjauri highway in western Georgia after a landslide on Sunday blocked the road. 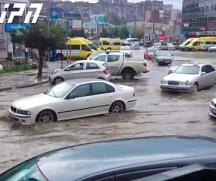 According to the Regional Development and Infrastructure Ministry, about 20-30 thousand cubic meters of land collapsed due to rain and damaged the road. A landslide near Chakvi tunnel hit a light vehicle, but the driver managed to get out of it without injuries. Work has started to repair the damage. There was another landslide in Ozurgeti, which damaged a recently renewed road. The road is still only partly open for traffic. The bad weather also caused problems many other places in Georgia on Sunday. The river Korolistskali spilled over its banks and endangered about 12 households in Khelvachauri, in western Georgia. Those affected tried to change the river bed to prevent their homes from being flooded. 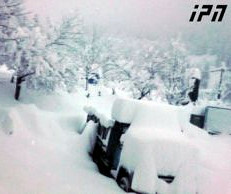 In the mountainous Adjara region, snow blocked the Goderdzi pass. 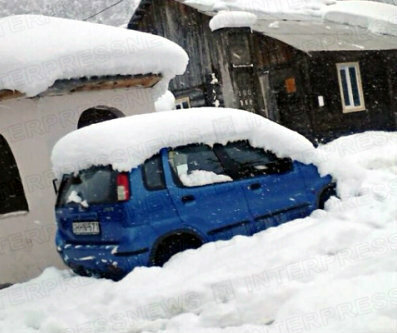 Interpressnews quotes locals from Khulo saying that it started snowing Saturday night. About nine cars were stuck in the snow last night but were soon rescued. 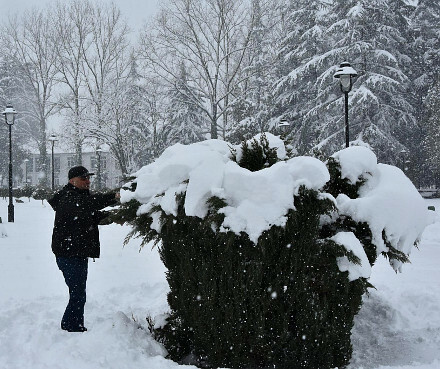 The snow cover was about 45 centimeter. 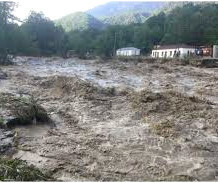 Houses were flooded in the village Bashi, in the Imereti region. Flood water killed livestock and winter stores.